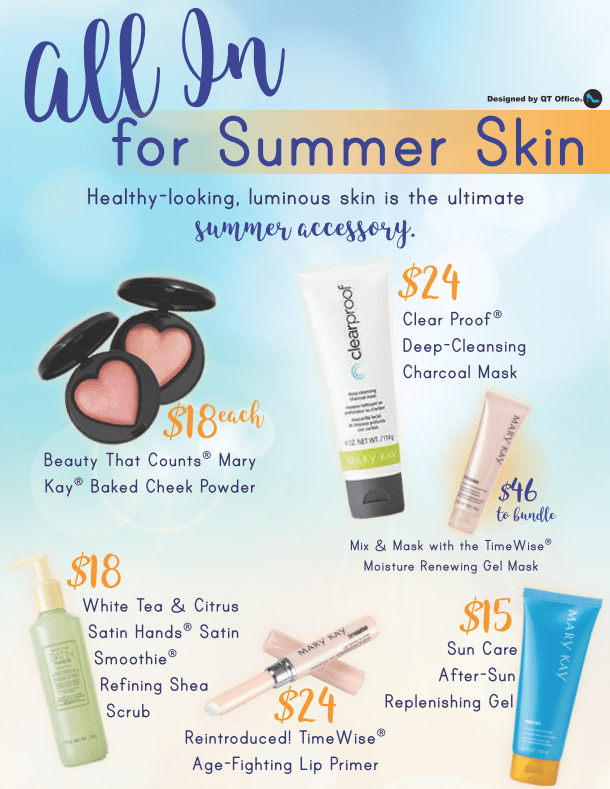 Summer fun has begun, and what better way to kick off the summer than with the amazing new summer line by Mary Kay®. 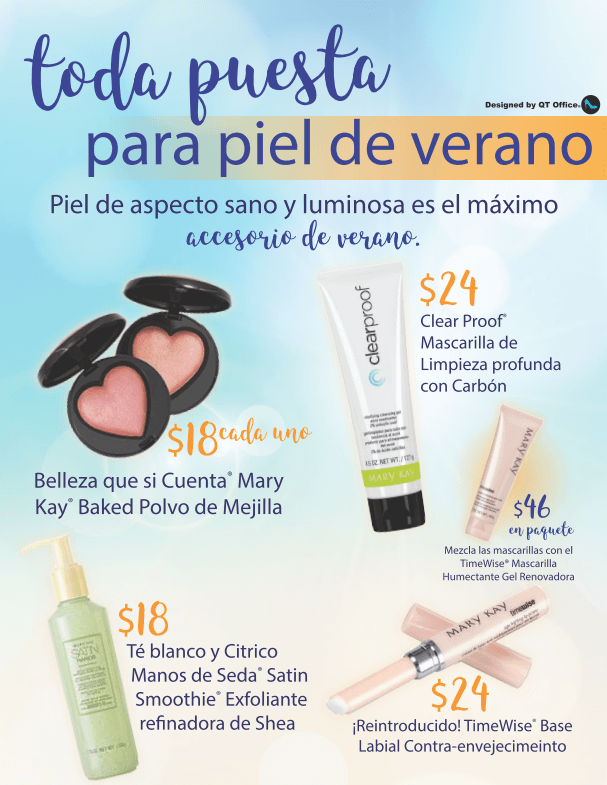 The talented designers at QT Office have created a beautiful flyer showcasing the new summer line. We will be adding this flyer to our unit and area Websites so that it is front and center for all of your unit/area to see!